The Savage Garden Rooftop bar is the ideal post-work get together venue for friends and work colleagues. With really stunning views (Shard and Tower Bridge etc. 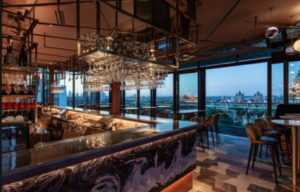 ), this venue is one of London’s newest rooftop bars. It also has a very impressive private terrace with a useful retractable roof (if you have a function coming up). The menu is ideal for all-day dining and is sized for any appetite. If you’re on the budget tour, then you have plenty of smaller plates to choose from, too. 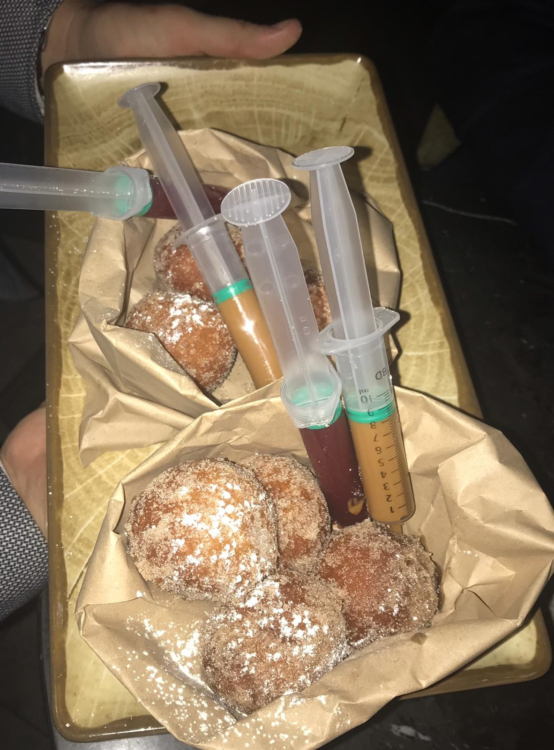 Their quirky and appetizing snacks on the intro night included a ‘fill yourself’ miniature doughnut which came served with syringes full of strawberry jam and caramel. This is the kind of twist you will see on their menu, which makes a visit just so much more interesting. Why go to just a pub, when you can enjoy spectacular 12 storey high views of the City. Obviously, a selection of wine and beer is available as well as their collection of Savage Cocktails. 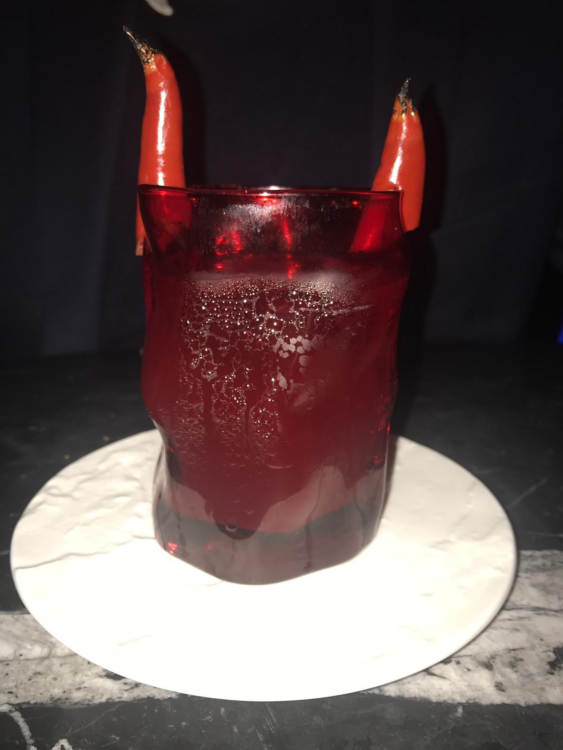 Our favourite cocktail turned out to be the ‘Devils Advocate’ which is a blend of (mostly!) tequila with grapefruit and lime juice, decorated with red chillies. Open Monday to Saturday 12 noon to 2am and Sundays 12 noon to 1am. 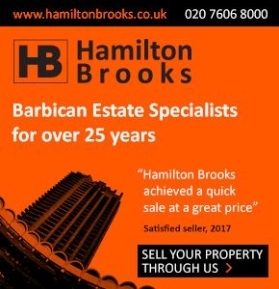 It’s a good 15 minute walk from the Barbican but the nearest tube is Tower Hill (with a 3 min walk to the venue). Give it a whirl; we were definitely impressed!